"Charity" is one of the scented pelargoniums with amazing variegated foliage. Its foliage has irregular golden-lime edges around the dark-shaded green center. It is a tender evergreen perennial which needs protection over winter and grow like crazy in direct sunlight. 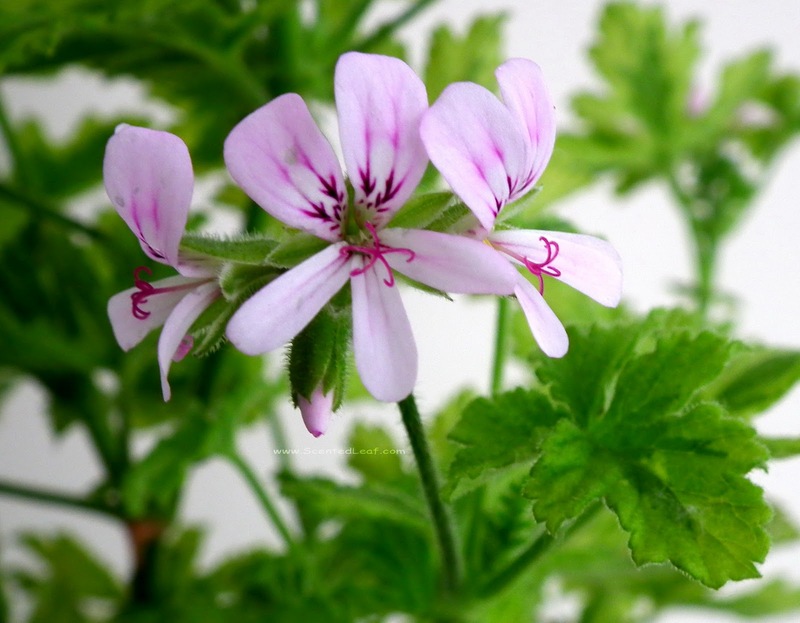 It has a vigorous upright growing habit with bushy branches, similar with most lemon-rose scented pelargoniums, thus our plant is shaped in a columnar style. 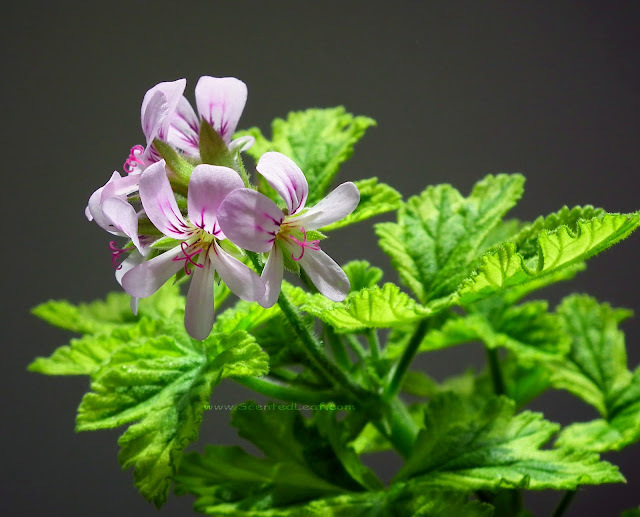 Pelargonium "Charity" is another plant from our collection which was awarded with "Award of Garden Merit (AGM)", being recommended to grow by Royal Horticultural Society (RHS) (like Pelargonium Frank Headley). The leaves are deeply lobed, hairy, with a soft texture and at any touch it is released a powerful smell of citrus with rose notes. I like to use them to decorate my dishes and to add flavor in cooking , especially in deserts: ice-cream, scented sugar, poached fruits or herbal ice-tea. Scented Pelargonium "Charity" is known also as Lemon-rose Geranium "Charity". The flowers are typical for lemon-rose varieties of scented pelargoniums, growing in clusters of 5-7 small lavender-pink flowers with darker markings on the upper petals. It is a prolific bloomer, has a dense foliage and once the plant is aging, the stems became woody. The contrast between the color of the leaves and the flowers looks really stunning in the sunlight - even the bear is amazed by it ;-). Since last year, we've included varieties of erodiums in our green spot. 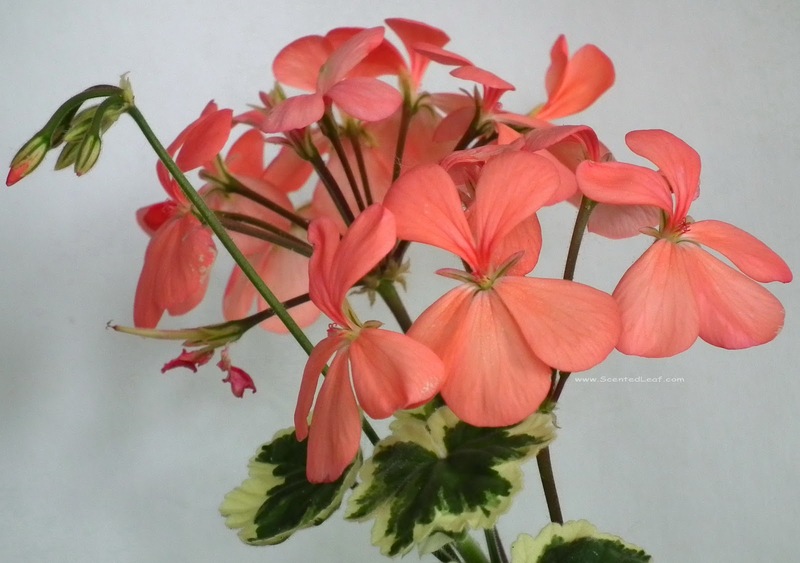 Erodiums are related to pelargoniums (our favorites) being also members of the botanical family Geraniaceae. 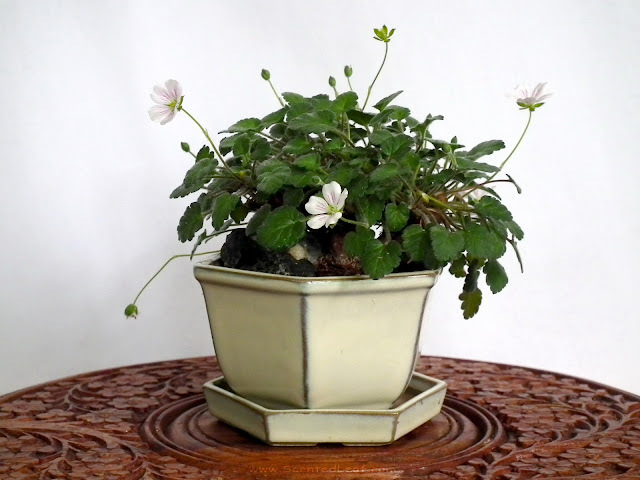 Geraniaceea family has five genera: Geranium (cranesbill), Pelargonium(storksbill), Erodium (heron's bill) , Sarcocaulon (succulents) and Monsonia. Erodiums have radially symmetrical flowers (actinomorphic) with 5 petals and sepals with similar size and shape and 5 fertile stamens. Erodium x variabile 'Album' is an evergreen perennial plant hardy down to 15-20 degrees native to European alpine areas, which survives well outside in Vancouver's winter mild temperatures (rarely fall into teens). It is known also as "Baby Swiss Geranium", "Erodium reichardii Album" or "White Heron's-bill". 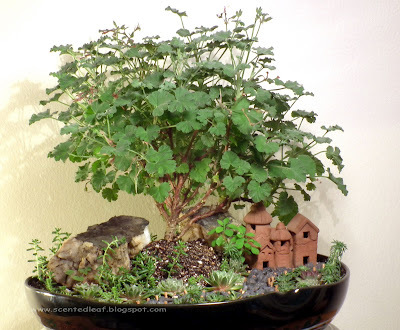 Actually, most alpine varieties of erodiums, with tiny growing habit and flowers blooming almost year round (starting from the beginning of March), make an amazing evergreen ground-cover in miniature landscapes, rock gardens, gravel beds, saikei, and, why not, nice specimens of mame-bonsai. I really like their star-shaped small white flowers with pink fine veins that flowers the entire season long and their vitality. Easy to care plants, prefer full sun and well draining soil. The warm period is boosting their growth, making them to spread quite freely (this is why sometimes it is considered a weedy plant) . 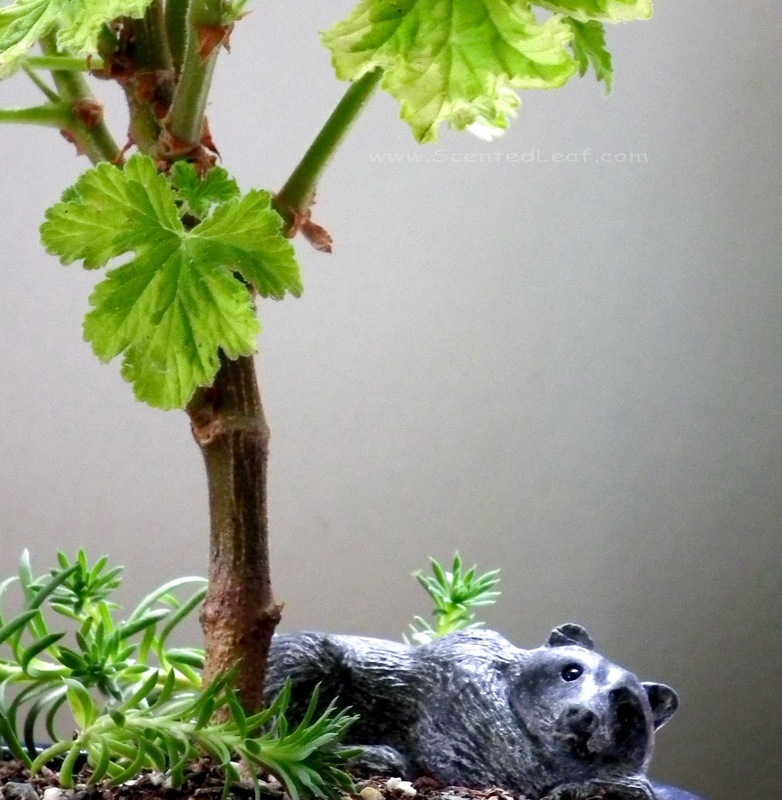 In spring, we separated this little guy (you can propagate erodiums by division in spring or by seeds) and it became our first erodium mame-bonsai. Leaves are a deep green, hairy and slightly serrated, growing in a form of a dense rounded cushion no higher than 5 cm at the center. The pot is 5 cm high / 6 cm wide and the trunk at base (actually a prolonged root) has more than 1 cm - it is quite difficult to take a picture of it underneath of the foliage's umbrella. 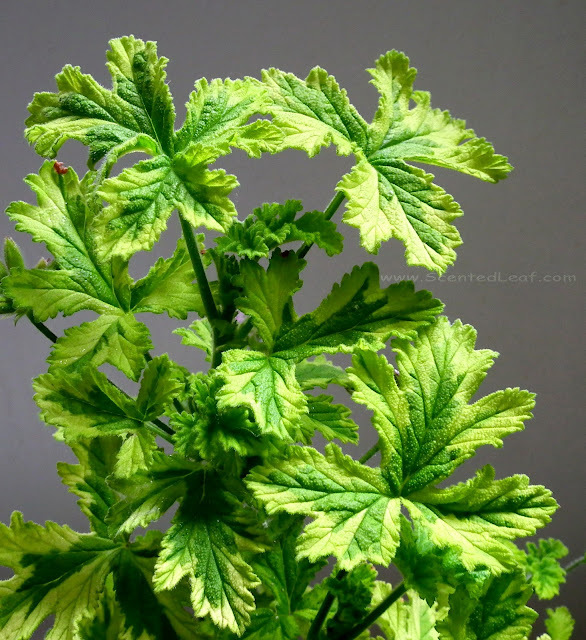 Pelargonium "Frank Headley" is a beautiful variegated pelargonium zonale with silvery-green foliage awarded with "Award of Garden Merit (AGM)" . Actually, the "AGM award" indicates that a plant is recommended by Royal Horticultural Society as a plant with outstanding excellence for garden decoration or use which is easy to care and is not susceptible to any pest or disease. 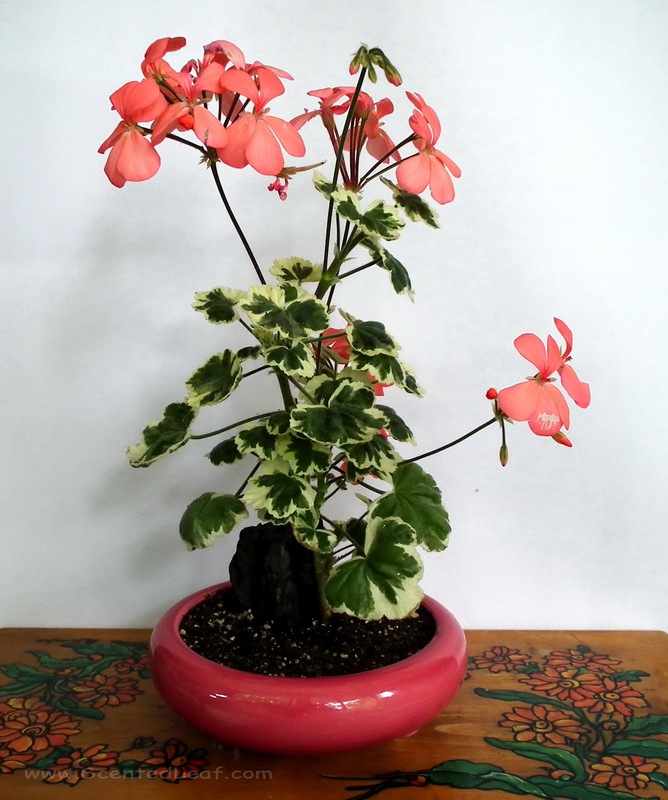 Pelargonium "Frank Headley' is a prolific bloomer with purplish-pink flowers bursting from spring to autumn. 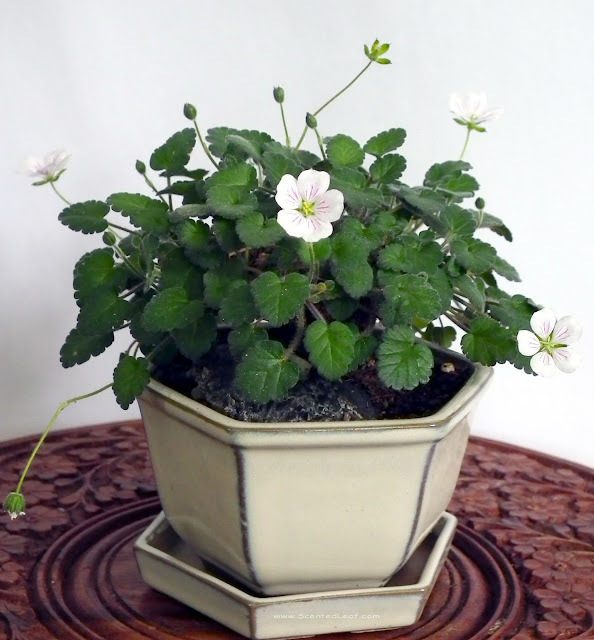 This dwarf showy plant is an exquisite addition to any garden. Its rounded leaves are shaded with irregular splotches of silvery-white on the edges and a colored dark-green spot in the center. It is a tender perennial plant which reaches maturity in 2-5 years and can be kept for longer periods if overwintered indoor. Although is said that this plant will not come true from seed, we will make our try with some of the ripen seeds (the plant has already seedpods). Member of Geraniaceae family, the Botanical Name is Pelargonium x Hortorum "Frank Headley". 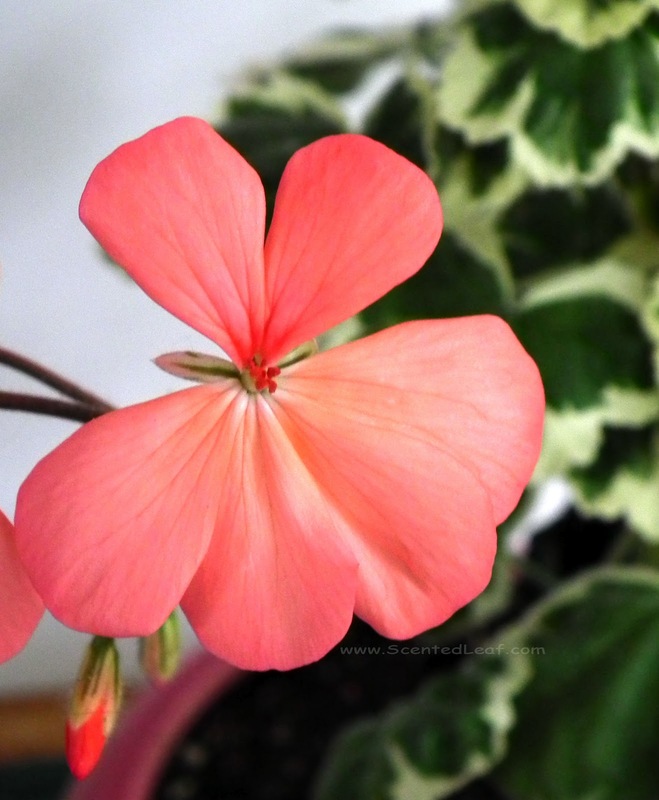 It is also known as a fancy-leaved pelargonium "Frank Headley" or garden geranium (hortorum is genitive plural of latin "hortus"= garden). 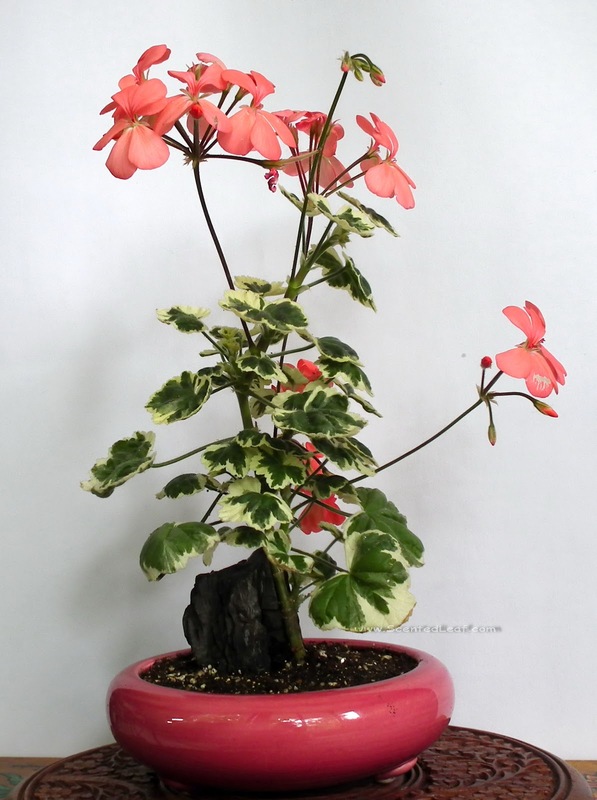 Pelargoniums zonale are very popular in flower beds, containers, jardinieres and window boxes due to their multicolored abundant flowers and the wide range of variation in foliage colors, texture and markings. The Geranium / Sardunya short movie, realized in 2008 by Mustafa Emin Büyükcoşkun, received " Best Balkan Short Film" award at Filmini 2.0 - International Short Film Festival 2008 held in Sofia, Bulgaria. Born in Istambul in 1988, Mustafa Emin Büyükcoşkun produced his first short film "The sleep" in 2005, "Geranium" being the second one of his filmography. This movie is an intriguing story of a street vendor selling pirated movie CDs which was written, edited and directed by him. 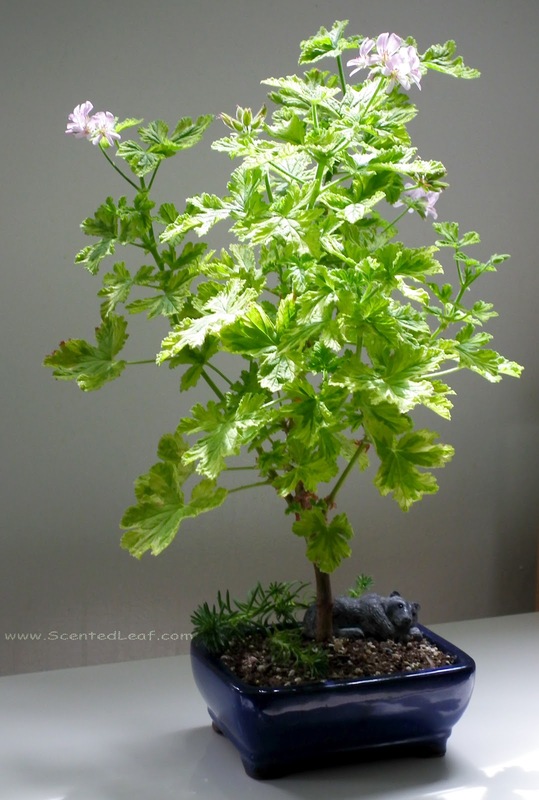 The Geranium plant started from a cutting, grows swiftly and became the focus point, its evolution marking the time passing. 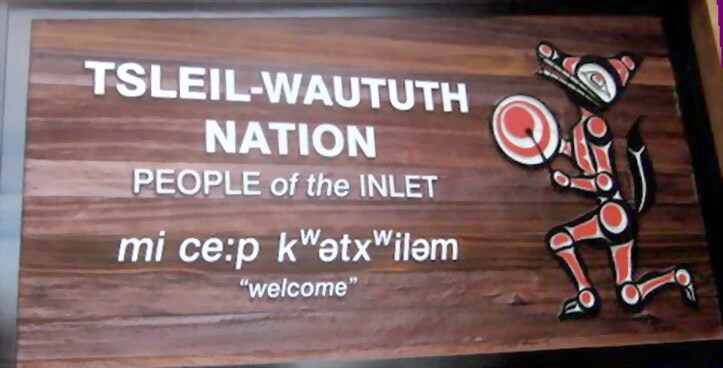 ( I really like the florist's expression: "We give you a branch, you water it and it turn to a flower in two days." ). 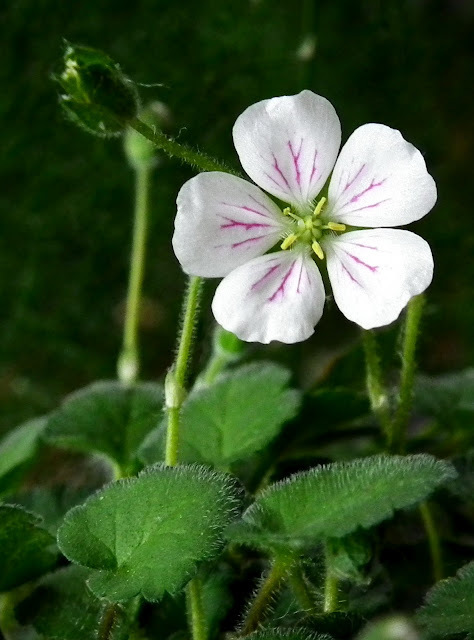 The film action revolves around it until the geranium started to bloom, being somehow detached by the real world, this making an intriguing and original story.